The Beauty Scoop! 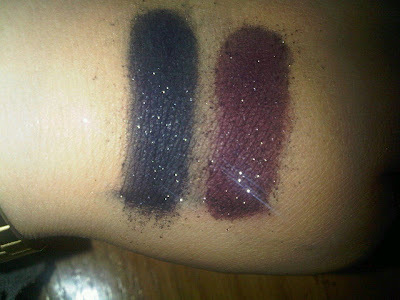 : Sleek Christmas 'Sparkle' i-Divine Palette - Sneak Preview Swatch! 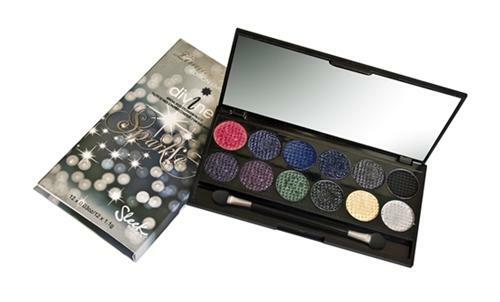 Sleek Christmas 'Sparkle' i-Divine Palette - Sneak Preview Swatch! I’ve been so excited and have wanted to find out more ever since! So when Sleek posted this preview swatch earlier on Twitter I just had to post it up, especially for those of you who didn’t see it. So here it is their little preview of their planned Christmas palette. Release date will be announced in a few weeks, but is said to be near to Christmas (to be expected, really). What do you think of it? I think it looks VERY promising, can't wait to see the rest of the colours. SORRY! didnt mean to offend, tought it was a google image from "sleek's" twitter. wow this is a really old post. But i bought this Christmas limited edition in 2013 and i thought it was really cool. I have been looking for it since then and i thought to check online if i would find it or something similar. I didn't even know it was a limited edition, i have not used any other eye shadow since that one finished. i wish i could find it to buy again else good bye to eye shadow. Sleek Molten Metal Cream Eye Shadow Duo! OPI Spring/Summer 2011 Polish Collection! Elle & MoroccanOil Subscription Offer! Aveda Scalp Benefits Shampoo & Conditioner! OPI Burlesque Collection - 10 Polish Swatches! Avon Glimmersticks Diamond Eyeliner - Swatched! Urban Decay Liquid Eyeliner (Honey) - Swatched! Winner of Cutex Manicure Correction Pen! Swatched: Avon SuperShock Gel Liner - Silver! NUBAR G180 Star Sparkle - Swatches! Another OPI Katy Perry Collection Picture! Leighton Denny High Performance Nail Colour!? Avon SuperShock Gel Eyeliner - SALE SALE SALE!! Cutex Manicure Correction Pen - A Life Saver! More Essie Fabulousness - Winter 2010! Welcome To Movember, Like November, But Better!